DOCTOR ZHIVAGO is one of the most romantic stories ever written. Based on the Nobel Prize®-winning novel and the Academy Award®-winning classic, this sweeping saga of romance and revolution is now stunning new Broadway musical. An honored and acclaimed team of Broadway s best creative visionaries leads the classic story to the stage. DOCTOR ZHIVAGO is directed by two-time Tony Award® winner Des McAnuff (Jersey Boys), with a book by Academy Award nominee Michael Weller (Ragtime), music by two-time Grammy Award® winner and Tony Award nominee Lucy Simon (The Secret Garden), lyrics by Tony Award nominee Michael Korie (Grey Gardens) and Emmy Award® nominee Amy Powers (Ella Enchanted), and choreography by Tony Award nominee Kelly Devine (Rocky). 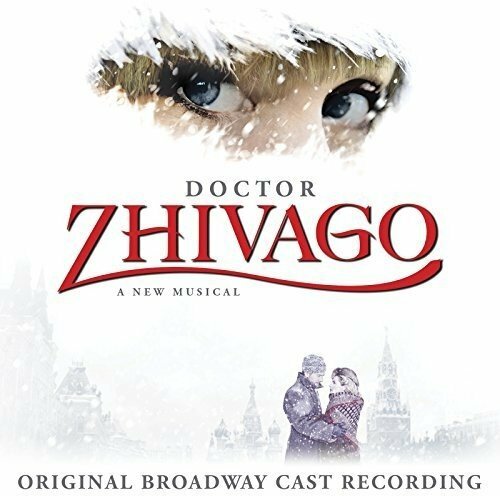 DOCTOR ZHIVAGO is a heartbreaking epic romance, revolving around the search for love during the final days of Czarist Russia. Raised as an aristocrat, Zhivago is a political idealist, physician, and poet whose life is tossed by the tides of history as he is torn between a life with his close childhood friend and wife, and the passionate and mysterious Lara. Zhivago, however, is not alone in his yearnings for Lara, and must compete with both revolutionaries and aristocracy alike to win the heart of the woman he cannot live without.